Garden décor and outdoor accessories: Choose functional, decorative, significant. Decorating the garden and yard with objects has long been thought to protect, enhance, amuse and inspire. Classical deities preside over the garden’s seasonal change, while souvenir plastic pink flamingos remind of a Florida vacation or inspire humor or irony. Antique gardenware marks days gone by, and gazing balls let occupants to see visitors’ reflections before opening the front door. Garden gnomes are said to bring good luck. 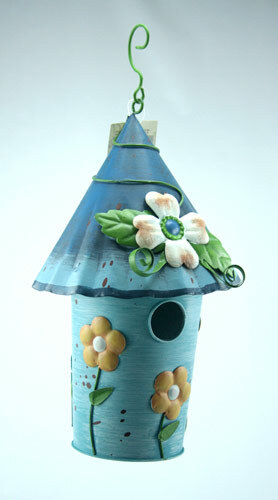 Bird baths, feeders and houses bring hours of enjoyment to bird watchers. Every object decorating a garden has a story to tell. What’s yours? Today garden accessories are often chosen for functionality, design, aesthetics and decoration rather than for significance. Natural, classical, rustic, contemporary, miniature, colossal — outdoor objects can reflect personality, taste and style. For example, natural stone fountains and birdbaths blend in the landscape with minimal intrusion, while wildlife feeders and garden stakes of brightly painted metals convey a whimsical mood. 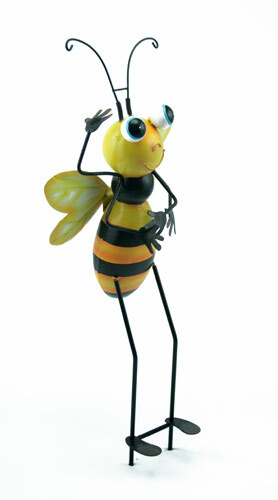 Garden ornaments can complement your outdoor living spaces and plant selections with a personal flourish. When choosing materials such as cast stone, natural stone, terra cotta, concrete, ceramic, wood, copper, iron, steel, bronze, resins or glass consider the material’s characteristics: some reflect light, look sculptural, or weather in a changing patina. Add ambiance to landscape designs and plantings with your personal style and the right accents. Shout from the boulevard, create a sanctuary or design fanciful grounds — with statuary, sundials, lighting, bird feeders, birdbaths, stakes, animals, characters and other accessories, including cast-stone fountains and other water features from Patio Town. · What kind of mood do you want to create? · Do you want accessories to match other furnishings or stand on their own? · Do you want to draw attention as a focal point, such as a concrete statue among the perennials or have outdoor décor blend within the garden or landscape? · What functional items do you need, such as hose holders, outdoor thermometers, bells or sundials? What items do you like for accent and decoration? · Do you want feeders, birdhouses and birdbaths to attract wildlife? Be sure to consider pets in your neighborhood as well as the pros and cons of feeding. · Do you need yard lighting? · Are fire and water features such as a waterfall, water fountain or fireplace an accent that would fit in your plans? · Remember, too much can be … too much. Survey your garden and make a note or sketch where you think accents might go. Check out gardens, arboretums, parks and greenhouses and other places where you’ll find inspiration. Browse our online catalog to find items that complement the space and fit the mood you’d like to create. We have a variety of sundials, garden stakes, water features, statuary and more.